By Tony Bryant, Flamenco Specialist. 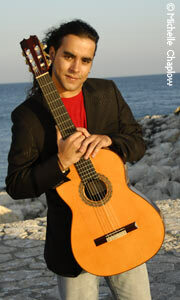 Daniel Casares is an extremely talented young flamenco guitarist born in Estepona, Málaga, in 1980. He discovered at an early age that he had a natural talent for playing the guitar, and his passion was fuelled by the music that he listened to at home as a child. It was from the soul of this music that Daniel started his journey through the mysterious and passionate world of flamenco. He spent his youth learning and understanding the rudiments of the flamenco guitar, listening to the masters like Ramón Montoya and Niño Ricardo, but his influences are not solely flamenco artistes. 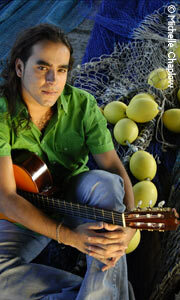 He studied under several guitar teachers in Estepona and Málaga and gave his first live performance at the age of ten. His career started to take shape when he participated in the project A la Guitarra de Estepona, a recording on which he appeared with a collection of artistes native to his birthplace. Six years later, at a mere nineteen years of age, he produced his first solo CD, Duende Flamenco, and from this point on Daniel Casares began to forge a career as a guitar maestro. He has had great success, winning trophies including the Nacional del Primer Concurso de Guitarra in Jaén, the 37th Festival del Cante de las Miñas de la Union in Murcia, and the Thomson Music Best Artiste of the Year Award in 2000. His second CD, La Madrugá, was released in 2001, and his third, Corazón de tu Alma, led to a world tour in 2004, which took him to the USA where he performed at the Thalia Spanish Theatre in New York. After his performances in the Big Apple, Daniel was awarded the ACE award for Extraordinary Performance in Concert, an honour he received from the Association of Latin Entertainment Critics of New York. With his recent fourth CD, Caballero, and a ten-year contract with music giants Universal neatly tucked away in the bank, Daniel Casares is about to embark on another tour to promote his new offering. Caballero is a mixture of tradition and modernism; styles as diverse as the Malagueña show the more orthodox flamenco compared to the crystal freshness of the rumba and guajira, which are full of Latin flavour. 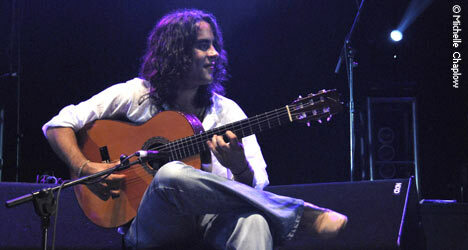 Writers and critics have predicted that Daniel Casares will become the next Tomatito or even the next outstanding legend in the tradition of Paco de Lucía, a guitarist for whom Daniel has the utmost respect. Maybe it is a little early to compare Daniel to the pioneers of this art or maybe there is no comparison, because like all true artistes, Daniel Casares is unique. He now concentrates on a career as a concert guitarist playing in theatres and concert halls with his own backing band. His music leans more towards jazz than traditional flamenco, but his understanding and respect for the art of flamenco is ever present. Daniel Casares is an artiste who is already showing all the signs of becoming a guitar maestro, and comparisons are insignificant because in years to come his name will be etched into the history of the flamenco guitar alongside pre-existing legends. Today we have a new crop of young guitarists who perform what has been labelled “New Flamenco”, a style that has fused jazz and pop music with the soul and rhythms of flamenco. These new styles of flamenco are often scorned by the die-hard critics who dismiss anything that is not traditional or orthodox. Daniel told me, “There seems to be a lot of confusion with the critics with regard to what is and what is not flamenco,” and I agree. Just because you have your roots in one field, it does not mean that you cannot wander into others. Although his flamenco roots are deeply embedded in his heart, we must respect Daniel Casares as a guitarist first and foremost, and when we listen to his music we must listen to him as a guitarist and not listen only for his roots. Andalucia.com managed to catch up with Daniel Casares during his busy schedule. What started as an interview turned into a relaxed and casual conversation about an art which we are both very passionate about. Daniel’s outlook on flamenco and Andalucian life in general was rather laid back, but always reverent towards to his fellow Andalucians and the art of guitar playing. A.C. Daniel, you were born in Estepona in 1980; are your parents from Málaga? D.C. No, my family comes from La Línea de la Concepción in Cádiz, but my father moved to Málaga searching for work as there was little work in La Línea, so that’s how I was born here in Málaga. A.C. Are you from a long line of flamenco artistes? D.C. No. I am the first flamenco artiste in my family. A.C. Who taught you to play the guitar? Who was your best teacher? D.C. Quite a few people have taught me; I didn’t have just one personal teacher. I had lessons at the Casa de la Cultura in Estepona. Later I studied with the guitarist José Fernandez, who is also from Estepona, and I was also taught by José Antonio, El Chaparro, who was the accompanist for the late singer El Chino. I learned a lot from José Antonio; he’s incredible. A.C. I have seen El Chaparro many times; he is now the usual guitarist with Cancanilla de Marbella, and I agree, he is an exceptional guitarist. D.C. José Antonio is an excellent guitarist, and he is a very good person, and someone for whom I have a great deal of respect. A.C. Do you remember your first time on stage? D.C. Yes, of course. It was here in Estepona. I performed at a concert in the Casa de la Cultura in the Plaza de las Flores. A.C. How old were you at the time? D.C. Nine or ten years old, but I remember it like it was yesterday. I couldn’t wait to get on stage; it was such an excellent experience, an adrenalin injection, and something I’ll never forget. A.C. Who has influenced you the most? Which guitarist has given you the most inspiration? D.C. Paco de Lucía is someone I admire and respect very much; he is a great guitarist, a great musician who has given so much to flamenco. 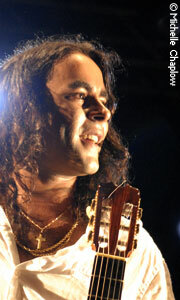 Most flamenco guitarists want to be like Paco in one way or another. 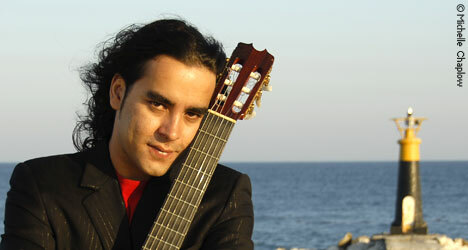 He is like a mirror because you can see a little bit of Paco in most modern flamenco guitarists. He is someone who has inspired so many young guitarists. But, I also very much like Niño Ricardo, and Ramón Montoya. They have also influenced my style, and more recently, the guitarist Cañizaresis someone I have great admiration for. A.C. I know that Paco de Lucía is very special for you; did you manage to see him perform at the bullring in Málaga during the recent Bienal de Flamenco? D.C. Yes, and he was phenomenal; it was an unforgettable night. He is the best, the great master. Were you there as well? A.C. Yes, I was. It was the first time that I have seen him live, and it is a night that I won’t forget in a hurry. It was spectacular! Do you know that some people are saying that you are going to be the next Paco de Lucía? D.C. Hombre! I think everyone would like to be Paco, but he is untouchable. He’s the best and no one, not anyone, can be compared to him. A.C. Daniel, I saw you perform in the Bodegas El Pimpi in Málaga a few years ago; it was an intimate and very special night, a night that you seemed to enjoy very much. When you play in a concert hall or theatre, do you enjoy it as much? Do you have the same sensation that you get when playing in a small bar like El Pimpi for example? D.C. Well, if you mean with the same feeling then it is a little different because, for example, in a small place like El Pimpi you can taste the ambience of Andalucia: the ceramics, the floor, the large wine barrels – they are all very atmospheric. But I also like playing in theatres, but that is a different experience. It’s more serious. The stage and the surroundings are normally black and you can concentrate more and you can hear the people in the audience breathing. But when you are onstage, you have no control of your feelings at that moment. It doesn’t really matter where you are. What is important is how you express yourself at the time. "When I am on the stage I enjoy every minute of it!" A.C. Are you nervous before a show? Do you get stage fright? D.C. No, no, definitely not, because this is what I do. I am a musician, a guitarist, flamenco or concert, and when I am onstage, I enjoy every minute of it. I have a great respect for what I do and for the people who come to see my shows, so no, I am never nervous. A.C. You accompanied the late singer Juanito Valderrama on numerous occasions. What was it like to work with such a master? D.C. Juanito Valderrama was like an encyclopaedia, a dictionary of flamenco. I learned a lot from him; he was an institution and he gave me a lot of good advice about flamenco and about life, and he also gave me a direction. Juanito was very wise, a good person who knew all of the flamenco styles; he was a great artiste, one of the best, and it was a privilege to work with him. A.C. Do you like to listen to flamenco singing? D.C. Yes, I like the singing very much. The song is the oldest form of expression in flamenco. It is the most direct root to the heart of flamenco. The guitarist needs to be able to accompany the singer as well as the dancer because it is necessary to understand the three elements of flamenco to understand the art fully. The singer, who would normally only be accompanied by the guitar, also needs to know how to sing for the dance perfectly. There are many things you need to understand in flamenco. A.C. I also like flamenco singing very much, especially the older singers of the purer styles of song. D.C. What about El Chocolate? Did you know of him? A.C. Yes, El Chocolate was one of the masters; I was fortunate enough to see him perform at the Alhaurín de la Torre festival just before he died. El Chocolate was born in Jerez de la Frontera and this area has produced some of the most renowned singers in the history of flamenco, like, for example, the family of the Sotos who include El Sordera and José Mercé. D.C. Yes, there have been many good artistes from Jerez de la Frontera. I accompanied José Mercé once at a festival in Huelva; he is an outstanding artiste. A.C. I agree. I have seen José Mercé twelve times! What do think of his guitarist, Moraito? D.C. Moraito is phenomenal; he is an exceptional guitarist, and he is also a very funny guy, always happy. A.C. Daniel, what has been the most memorable, or the most impressive, part of your career so far? D.C. The most memorable part of my career, well, if you’re talking about a person its hard to think of just one special person because all of the musicians and guitarists that I know have been marvelous. If you mean what do, then what I remember most would be the 12, 14, or 15 hours practicing guitar, because what a lot of people don't realize is how much the artiste suffers, every one thinks its all very nice, and to a degree it is nice, but behind every artiste there is an area of darkness, suffering and eroticism (laughing). If you are talking about prizes, then they are all special. They're all important. So, there have been many memorable moments. 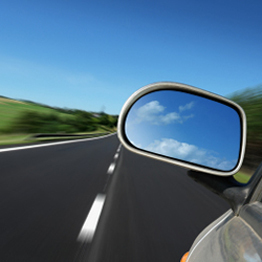 A.C. What have you got lined up for the future? D.C. Well, my new CD, Caballero, was released on October 8th and after that I will be doing a tour of Spain to promote the new disc. I am also doing a tour of Malaysia in November so I will be pretty busy for the rest of the year. A.C. Do the critics bother you? D.C. No, the critics are important. Most of them do a good job and they do it with respect. It’s important for them to understand the artiste. I don’t expect to read how wonderful I am - that is for my mother to tell me - but there seems to be a little confusion with the critics regarding what is, and what is not, flamenco. A.C. Daniel, we have a mutual friend, Paca Montoya, who is also from La Línea but now lives in Málaga, and she asked me to send her regards. She told me you were a friend of her late husband. D.C. Oh yes, I know Paca Montoya. Her husband was the guitarist, Manuel Montoya, God rest his soul. I was asked to perform at his tribute concert last year, but I was in New York at the time. Actually, I phoned from New York on the night of the tribute concert. A.C. Yes, I remember that, because they played the telephone conversation over the P.A. system so everyone could listen. It was a good night; there were many of Manuel’s family and friends performing, including Pansequito, José Parra, Mariquilla, El Carrete and the guitarist Luis Monje, the son of Camarón de la Isla. A.C. You obviously respect the art of your fellow musicians, but what do you think of sport? Do you like football, for example? D.C. (After much laughter) well, I like football! I don’t play much, but I like sport in general. Sportsmen are artistes too, and football is similar to music! A.C. What do you think is the main thing that someone would need to succeed as a flamenco guitarist or what advice could you offer to a budding artiste? D.C.Yes, this is the first and most important thing for any artiste. For example, I had great respect for Juanito Valderrama when I worked with him because he was wise, and he was also so respectful to everyone. The younger generation of new artistes needs to respect and learn from the older artistes, the ones who have the knowledge and wisdom. When I was younger I listened to many different styles of music, not only flamenco because flamenco is not everything. Flamenco is a mixture of Indian music and many other styles, and you need to listen to many to understand and learn. I used to listen to Mark Knopflerand, Miles Davis, among others, but when I listened to these artistes, it was with great respect; this is the most important thing to remember. A.C. Daniel, I know you are very busy, so thank you so much for taking the time to come and chat with me today. All the best with the new CD and good luck with the tour; I hope all goes well. D.C. It's been a pleasure.